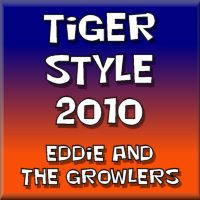 On December 14th, I posted a video that contains a song - "Tiger Style 2010" - celebrating the great year that the Tigers are having on the field. Due to the feedback I've received, I decided to make the song available as an MP3 file. I hope you enjoy the song as much as I enjoyed the source material (13 Auburn wins) that inspired it! Auburn Tigers - 2010 National Champions!